Ford continues to keep the design tightly under wraps. 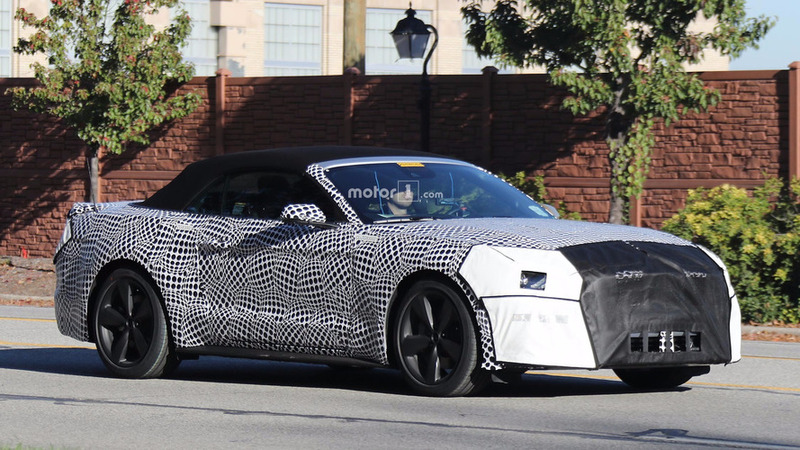 We’ve seen spy shots of the refreshed 2018 Ford Mustang GT Convertible, but the latest photos revealed something new about the drop top pony car. This test mule had quad exhaust tips coming out of the rear, rather than just two on the example in the earlier pictures. Extra outlets are generally a visual indicator of higher performance. 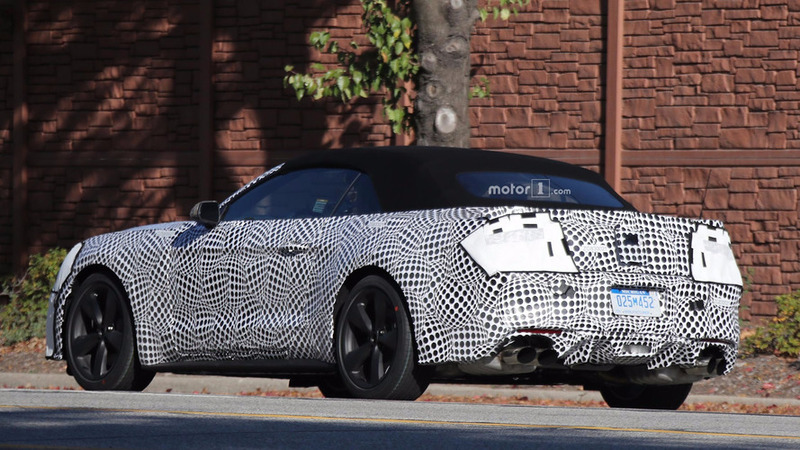 We highly doubt Ford is working on a convertible Shelby, and the body on this one doesn't resemble the more muscular GT350. It's possible this is the refreshed GT or maybe even the upcoming Mach 1. According to the spy photographer, this system is an active exhaust. This tech is usually a little more expensive, which lends further evidence that this is a model higher in the Mustang range like the GT. 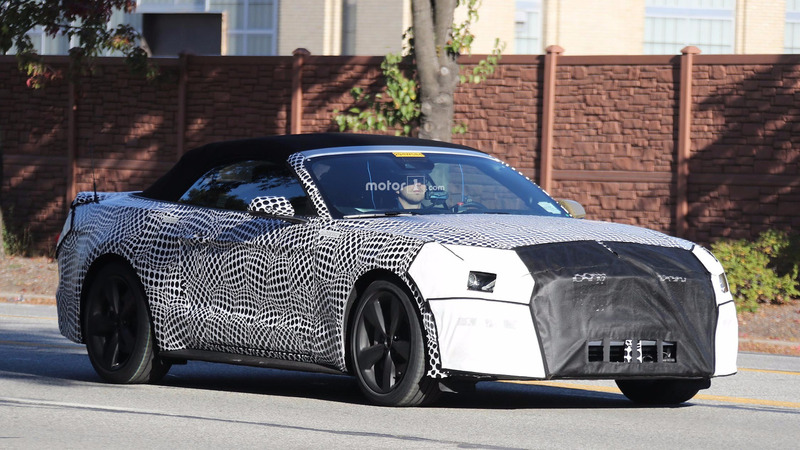 Ford engineers continue to keep the updated Mustang under heavy camouflage. However, we don’t expect a styling overhaul. Look for a model that looks generally the same but with minor tweaks at the front and rear. 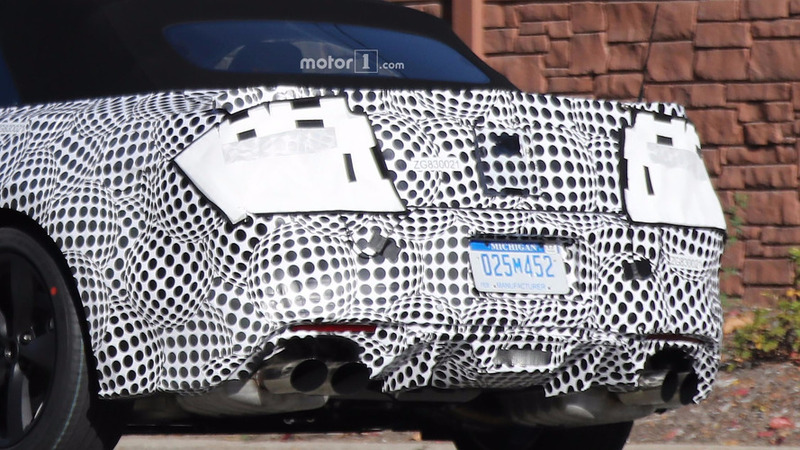 These photos hint at new shapes for the headlights and taillights. The revised diffuser also lends a sporty look to the back. 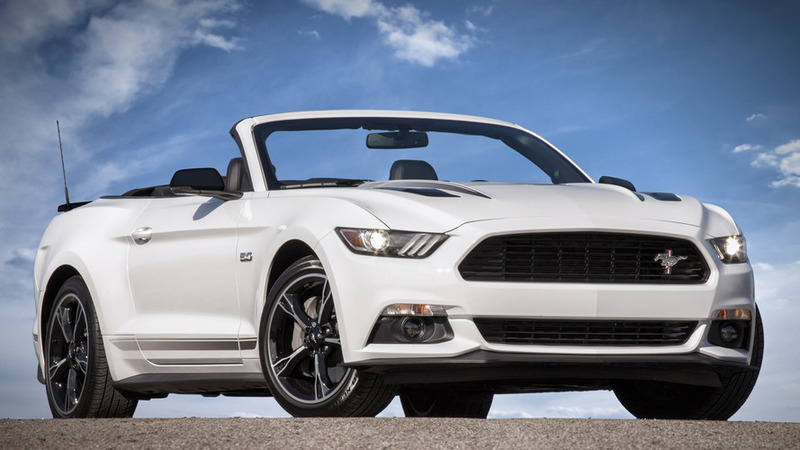 The big mechanical upgrade for the Mustang will likely be the introduction of a new gearbox – possibly more than one. A leak from Ford’s online parts catalog suggests some models could get an optional 10-speed automatic. The part is the same unit as in the 2017 Chevrolet Camaro ZL1, and Chevy claims its tune can shift faster than Porsche’s PDK dual-clutch. The GT350 might also benefit from a dual-clutch transmission, and there’s a possibility it could be the same one as the Ford GT uses. Ford also reportedly plans to add a new Mach 1 trim level to the lineup. The new model would likely sit above the Mustang GT in terms of performance, but it wouldn’t be so potent as to steal the spotlight from the GT350. The refreshed 2018 Mustang will very likely go on sale next year. We don’t yet know where Ford would debut the updated model, though. There aren’t any teasers for it at the Los Angeles Auto Show, so the North American International Auto Show in early January looks like the best bet. The Blue Oval tends to save its biggest premieres for the hometown automotive event in Detroit.